Snarky Puppy tickets can be purchased here where you'll discover a gigantic choice of affordable concert tickets. Booking your Snarky Puppy tickets here is easy and secure. Either choose the Snarky Puppy concert above to purchase them online, or call us at 1-866-837-0608. You can search the times and dates in the tour schedule above to find the specific Snarky Puppy concert you want to attend. Click on the red 'View Tickets' button to see all the available seats for that Snarky Puppy show, along with an interactive seating chart that will help you locate the best seats for your price. You'll have to choose how many tickets you want to purchase for the Snarky Puppy concert tour, and then you'll be brought to our secure checkout. Snarky Puppy ticket prices may be above or below face value and can fluctuate. You'll find cheap Snarky Puppy tickets here at relatively affordable prices. Discover a wide range of Snarky Puppy tickets available depending on the venue, including cheap discount seats or last-minute tickets, center stage tickets, floor seating, front row tickets, balcony seats, group tickets, general admission, VIP tickets, backstage passes (sometimes with meet-and-greets), discount tickets, parking passes, e-tickets or sold out concert tickets too. Also, some tickets to the Snarky Puppy tour may be available for immediate download as e-tickets, or electronic tickets, that you can print right from your device. How Much Do Snarky Puppy Concert Tickets Cost? 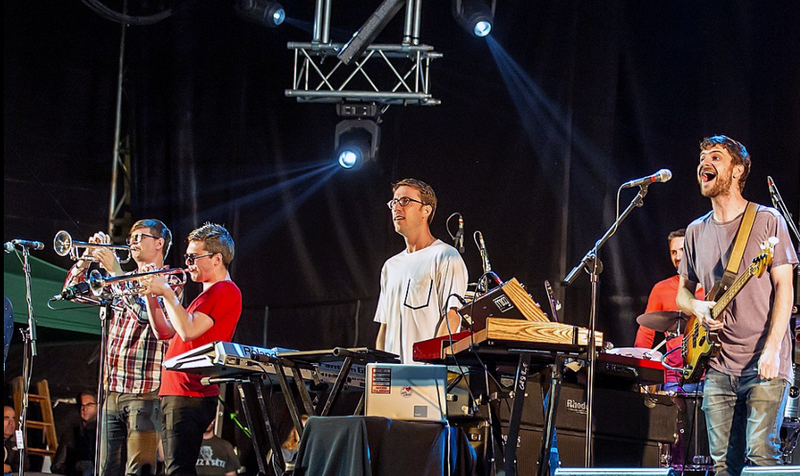 ClickitTicket offers Snarky Puppy ticket prices that are economical and right for you. Concert ticket prices may be above or below face value and fluctuate based on supply and demand. Choose the Snarky Puppy show above to view the price range. What Cities are on the Snarky Puppy Tour? Check above for all the cities that are included on the Snarky Puppy tour and to see if it will be stopping in your city. Can I get a Refund for my Snarky Puppy Tickets? All ticket sales are final. Our Snarky Puppy tickets are unique and can't be replaced, therefore there are no exchanges or refunds. If an event is rescheduled or postponed, your tickets will be honored for the new date. Need Help Ordering Snarky Puppy Show Tickets? Our world-class customer service department is available 7 days a week at 1-866-837-0608. A tickets representative can help you choose the best seats for your ticket price range to go to the Snarky Puppy concert of your choice.